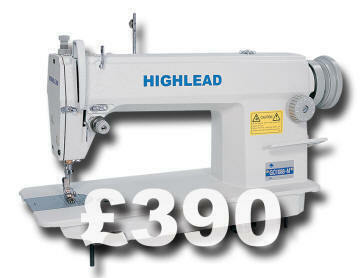 Blindstitch felling hemming sewing machine. Our used sewing machines are available reconditioned or rebuilt by our in-house technicians, complete with warranty, or in their original used condition. Many types of lockstitch & chainstitch sewing machines are in stock and include: flat bed overlock seam cover button-hole bartack button sewer bag closer felling machine Twin needle walking foot post bed long arm zigzag, heavy duty Electronic PLK BAS etc. We have one of the largest stocks available anywhere in the United Kingdom.